The event will be interactive, grassroots-focussed and will emphasise practical outcomes. The Forum shall monitor the progress of the bilateral project initiatives pledged at the previous event held in Kaduna, Nigeria, 4-8th November 2013, as well as increase knowledge transfer of lessons between the member cities, and with local representatives. In addition, this gathering will develop the internal networks of FCT Women, FCT Youth, and a newly proposed FCT Business Network. 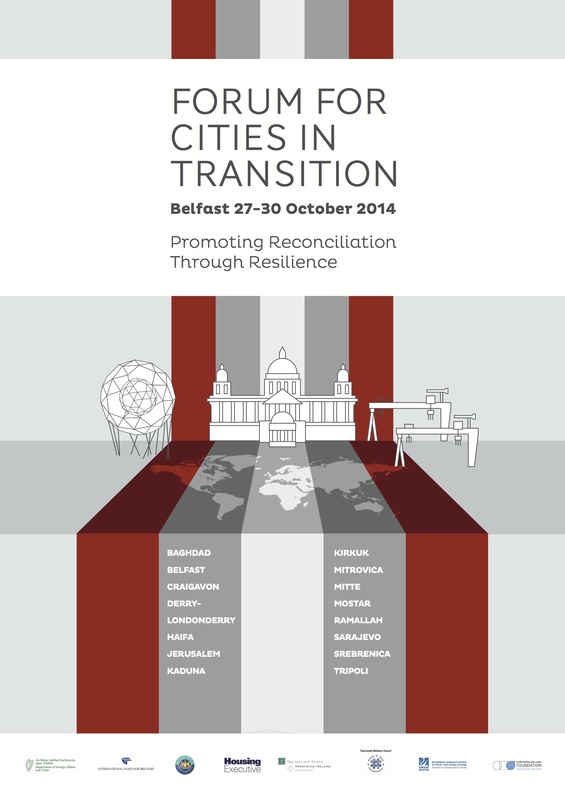 The event will be convened by Professor Padraig O’Malley (McCormack Graduate School of Policy and Global Studies, University of Massachusetts Boston), who serves as Director of the Forum for Cities in Transition. The citizens of Belfast welcome you to our city. Annual Gathering. Forum members consist of representatives of local authorities, political parties, community and voluntary sector, church, local police and business. We have been working tirelessly since the FCT gathering in Kaduna, Nigeria, last year, to ensure the success of this year’s event. The organisation of such a prestigious gathering has taken a lot of hard work and effort from a lot of people to ensure that it meets the objectives of the organisers, participants and funders. We are very proud of the programme that has been developed. We hope it will provide you with a meaningful insight into the complex challenges facing Belfast today, and provide you with positive examples of how reconciliation and peace can be built in a divided city. Charting provision for victims and survivors, including legislation, services, development of victims groups, outstanding issues. Community leadership in a divided community; peaceline projects, community groups, churches. In accordance with the mission statement of the FCT, the emphasis is the realisation the of practical outcomes that would assist participating cities improve the daily lives of their citizens, and enhance engagement between officials, NGOs, and residents.